Sudden infant death syndrome is a parent's worst nightmare and often one that's preventable. However, too many U.S. infants still sleep with blankets, pillows or other unsafe bedding that may lead to suffocation or sudden death, despite guidelines recommending against the practice. That's according to researchers who say 17 years of national data show parents need to be better informed. Researchers from the National Institutes of Health and federal Centers for Disease Control and Prevention analyzed annual telephone surveys involving a total of nearly 20,000 parents. Back in 1993, almost 7 out of 8 parents used blankets or other soft bedding for their infants; the number dropped sharply over the years but by 2010, more than half still were doing so. The practice was most common among young mothers, blacks and Hispanics. The study was published Monday in Pediatrics. 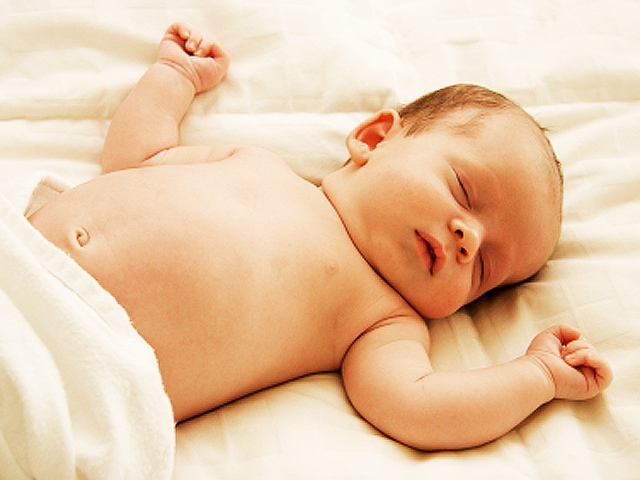 Accidental suffocation in bed, though uncommon, is the leading cause of injury-related deaths in infants. While the number of deaths from SIDS (Sudden Infant Death Syndrome) has declined in recent years, it still totaled about 2,000 in 2010. For more than a decade, the American Academy of Pediatrics, the NIH and safety experts have warned parents against using soft bedding in infants' cribs, either over or under the baby. That includes blankets, quilts, cushiony crib bumpers, pillows and soft toys. That doesn't mean letting babies freeze; experts recommend safe sleepwear including one-piece sleepers, and keeping the room at a comfortable temperature. Another study published in July in the journal Pediatrics, looked at the sleep-related factors linked to sudden infant death. The researchers found SIDS involving newborns up to three months old often was a result of sharing a bed with a parent, also known as co-sleeping. Deaths among slightly older infants ages 3 to 12 months was often related to the crib environment, such as objects that rolled into the sleeping area or unsafe bedding which caused suffocation. The decline in SIDS deaths is often attributed to the government's "Back to Sleep" campaign emphasizing the importance of placing babies to sleep on their backs, not stomachs. "Rates of SIDS have dropped more than 50 percent, so really just getting rid of that one risk factor has really made a huge impact," medical contributor Dr. Holly Phillips said in July on "CBS This Morning." To encompass other sleep-related risks, including suffocation, the National Institute of Child Health and Human Development and its partners renamed the effort the "Safe to Sleep" campaign in 2012. Safe practices include having babies sleep alone in cribs or bassinets, not putting them to sleep on couches, water beds or sheepskin that could smother a young infant. These infant deaths "are tragic and they're just not necessary," said study co-author Marian Willinger, a SIDS expert at the National Institute of Child Health and Human Development.